Here is Juliet's four tiered fondant wedding cake with drapes and ribbons. We also arranged mini cakes on the bottom, which served as their giveaways. 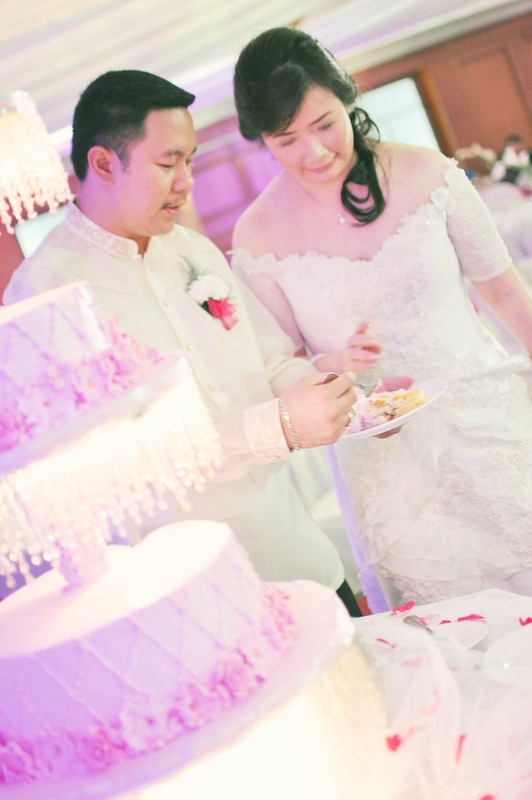 We recently attended the bridal show at the Marriott, showcasing Cebu's best wedding suppliers. Here are some of the highlights from that night. "Hi miss chedz! Jenny here. your client last june. I hope you still remember me. Anyway, I'm sending you pictures of your beautiful creation (as promised). Everybody was admiring your Building cake." 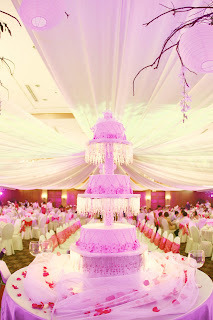 Here is Shonna's "Pretty in Pink" wedding cake. 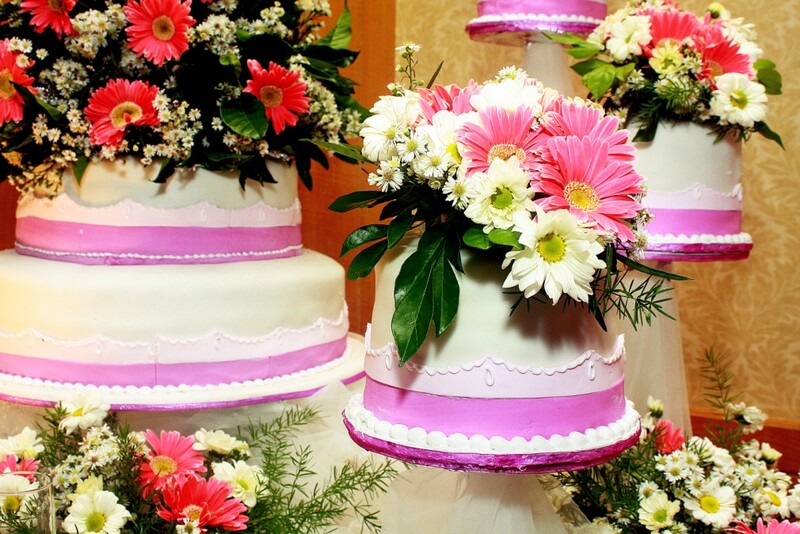 All three layers had a lattice design and assorted sugar flowers on the borders. 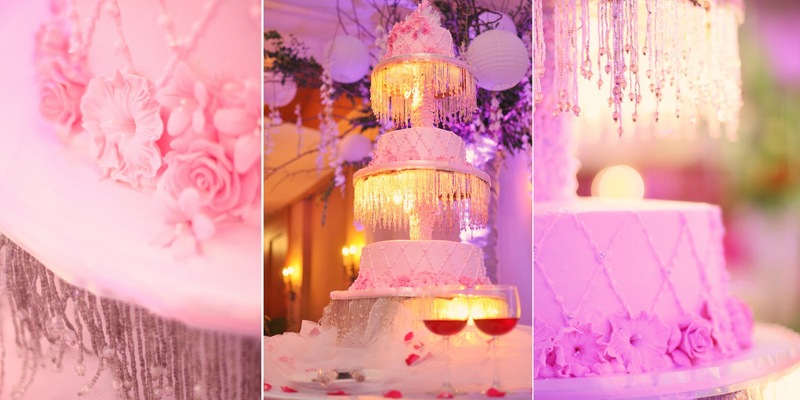 We added lighted beads on the cake stand to highlight the cake. 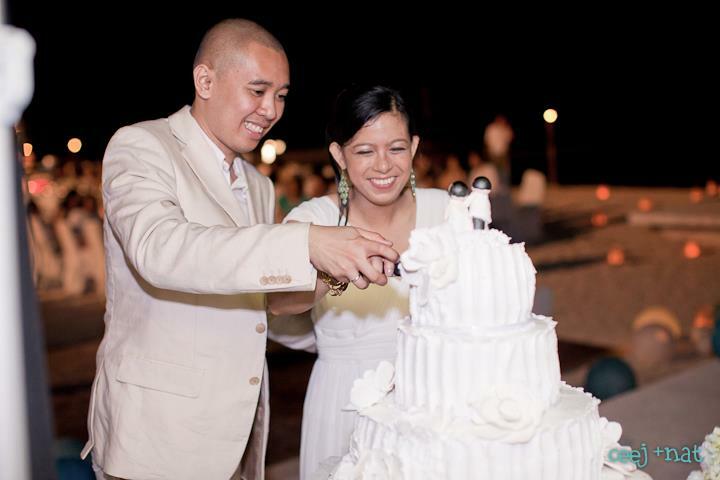 Special thanks to Jon Tolentino for the amazing photos. I was really excited to make this cake for one of my closest friends, Nat. Here's her all-white wedding cake. 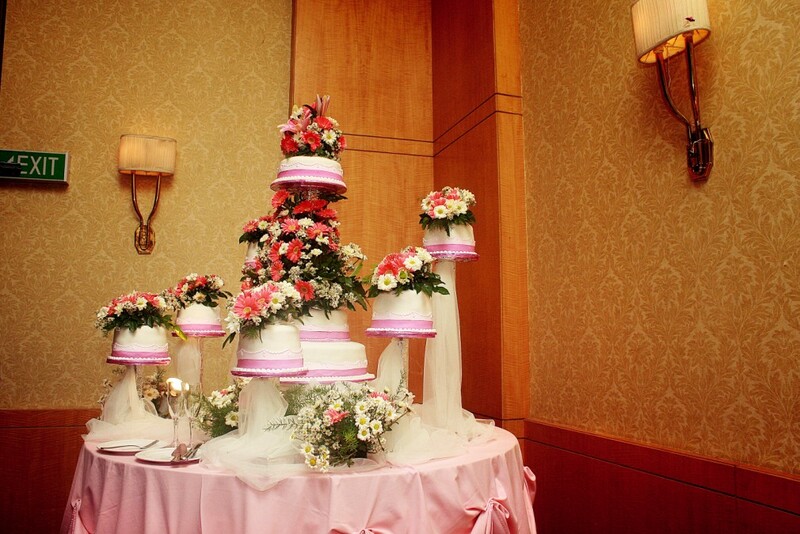 We kept it simple with just the oversize flowers as accents and the cute gumpaste toppers. Congrats Nat and Ceej! Here is Karen's wedding cake, inspired by celebrity Rica Peralejo's wedding cake. 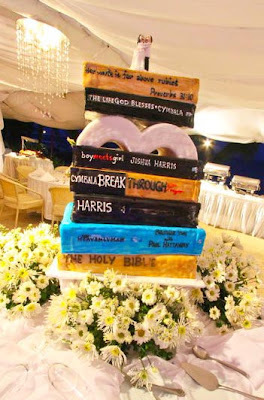 Since Karen and husband John were book lovers, she wanted to showcase that. We created the whole cake to look like a stack of books. They chose some of their favorites like Boy Meets Girl, The Life God Blesses and The Holy Bible to name a few. Photo provided by the bride. Joyce wanted layers of cupcakes and a big 'cupcake' on top. Here we arranged the rose cupcakes alternately by color. 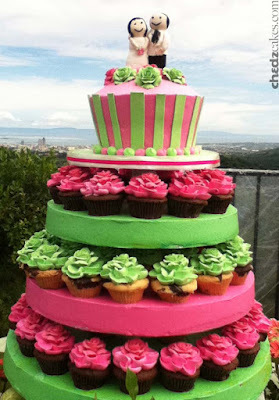 On top is a cake shaped to look like a big cupcake. 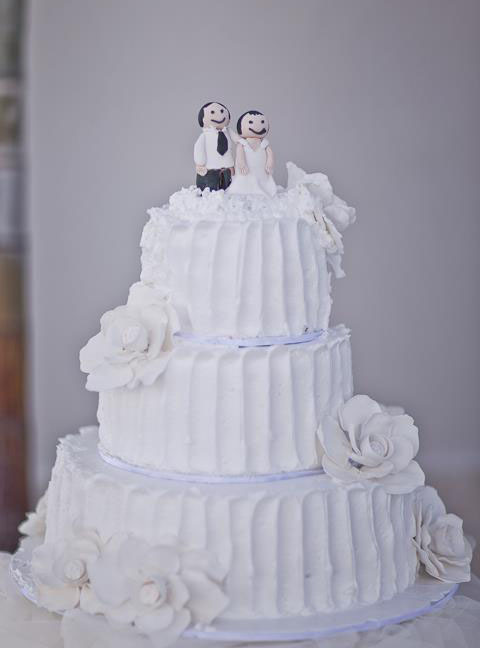 We also included a gumpaste bride and groom topper. 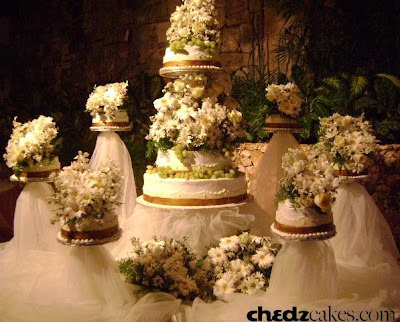 We used all white fresh flowers and grapes to decorate the three layered cake in the center and six miniature cakes surrounding it. 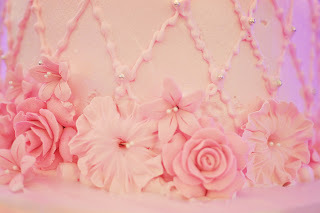 Each cake had a bronze gumpaste band and a light yellow "lace" detailing. I got this text message from Hazel, the bride: "Hi Cecil, jus wana say big thanks again for my vry beautiful cake..ü Ur d best!" Here's a similar design with a different motif. Thanks to Josh Empic for sending us these pictures.